In June 2014 delegates from all over the world flew into Durban, South Africa, for the second Sharks International conference. Over a period of five days participants presented and debated the latest findings in elasmobranch research and attended shark-focused networking events and workshops, including a photography exhibition and social media workshop hosted by the Save Our Seas Foundation. First held four years ago in Cairns, Australia, Sharks International was initially a once-off event but is now a regular forum for the world’s leading shark and ray researchers and conservationists. Its aim is to provide them with a platform to interact, share findings and initiate collaboration. And by that measure, Sharks International 2014 was a resounding success. In all, 270 people from 37 countries attended. Scientists from Canada’s Simon Fraser University in Burnaby travelled the furthest – more than 16,000 kilometres. Next time the shark and ray community will be heading to Joao Passoa, Brazil, where the Brazilian Society for the Study of Elasmobranchs (SBEEL: Sociedade Brasileira para o Estudo de Elasmobrânquios) will host the third Sharks International. We look forward to another memorable conference in Joao Passoa in 2018. Among the millions of shark fins traded around the world each year are the fins from five species that are listed on Appendix II of the Convention on International Trade in Endangered Species of Wild Fauna and Flora (CITES): the oceanic whitetip, the porbeagle and the scalloped, smooth and great hammerheads. The Appendix II listing means that when fins from these species are transported across international borders they must be accompanied by an export permit certifying that the specimen is being legally and sustainably traded. The Shark Fin ID Guide, recently developed as a collaborative effort and presented at Sharks International 2014 by Demian Chapman and Debra Abercrombie, helps wildlife inspectors, customs personnel, researchers and fishers to distinguish the fins of these protected species among the many thousands that they come into contact with. The easy-to-use guide breaks down the process into manageable steps and uses conspicuous fin markings and characteristics to consistently identify fins from the CITES-listed species. The guide is available at sharkfinid.com. 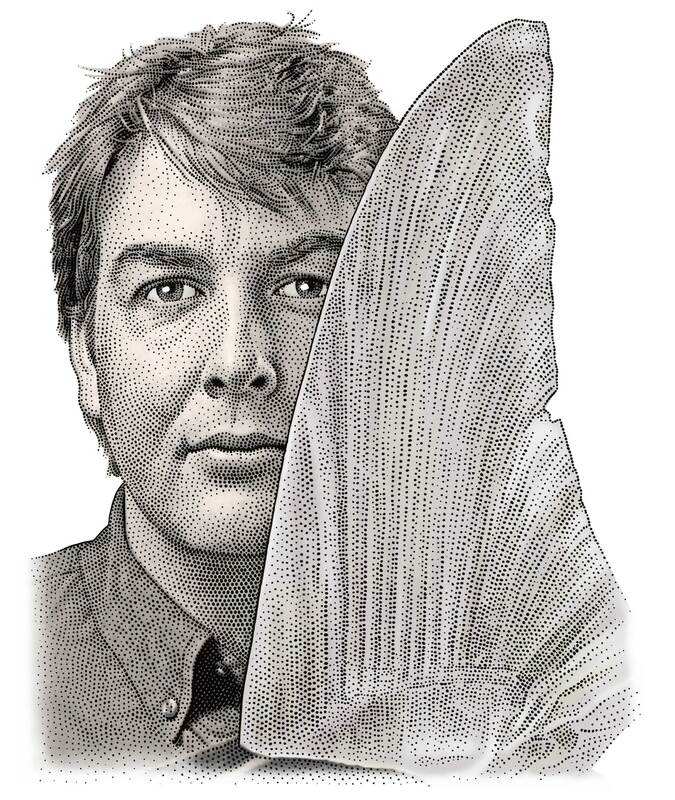 The presentation that arguably caused the most jaws to drop came from Gavin Naylor, from the College of Charleston in South Carolina, who introduced the varied and intricate facets of a new online resource, the Chondrichthyes Tree of Life (sharksrays.org). 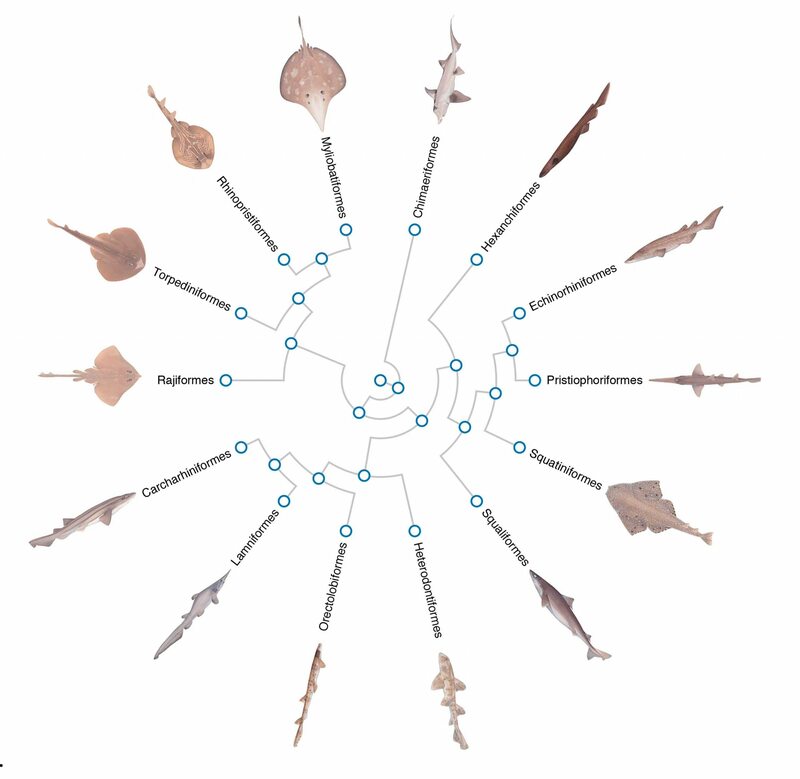 Its name notwithstanding, this database does so much more than map the shark and ray family tree. It offers information on species distribution (what occurs where), phylogenetic relationships, regional guides to sharks (print your own!) and digitised shark and ray anatomies that can be virtually dissected and even 3D-printed. It will also house DNA sequences and illustrations. With implications for so many areas of shark research, the possibilities seem endless. Having disappeared from most of the countries where they were historically found, sawfishes are possibly the most endangered of all marine fish. At the Sharks International conference, the IUCN Shark Specialist Group released its strategy for conserving these species, in parallel with the announcement that two countries in West Africa – Guinea and Guinea Bissau – are proposing that sawfishes be listed under the Convention on Migratory Species. To learn more about these enigmatic and endangered animals, see our infographic on page 106. 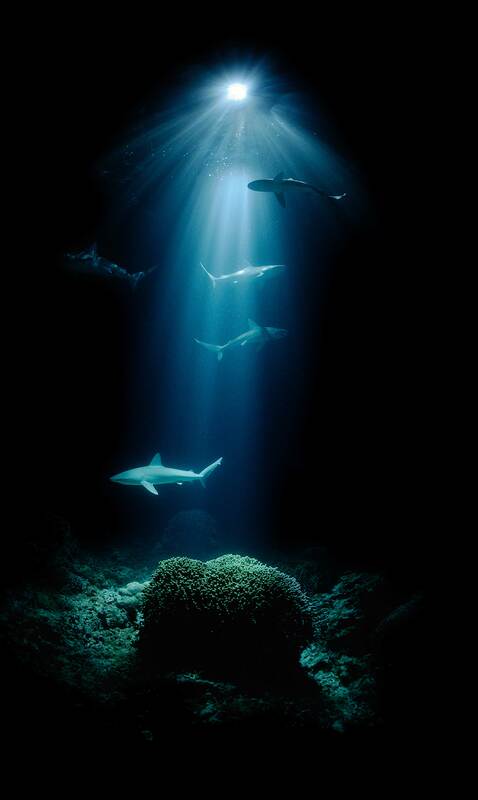 As part of the conference proceedings, the Save Our Seas Foundation hosted Shark Night, a photography exhibit featuring the spectacular images of Thomas P. Peschak in his book Sharks & People, which presents the complicated relationship between humans and the most feared marine fish.